The case for using social media and integrating it into your online marketing plan isn’t as black and white as you’d think. There are tremendous SEO benefits to deploying an effective Social Media strategy. Be forewarned, there are pitfalls for those that show up to the dance once and go home. Social Media is an on-going investment in your Brand – the promotion may take place online, but you are engaged in Brand Building just the same. And just like all of your other marketing initiatives, it is important to deploy your online Social Media with a level of strategic precision. OK, let’s slow down and look at the Pros and Cons of Social Media . . .
First the Pros: Social Media helps promote a business by using the tried and tested ‘friend of friend’ approach of word of mouth promotion. Research has shown that when a consumer arrives to your website as a result of a referral from their ‘friend’ network, they tend to stay longer, read more pages and generally interact with your website which in turn, tends to lead to increased sales (more so for websites that have e-commerce capability). The Cons: Social Media can also damage reputations, tarnish your brand, or falsely accuse you of poor service – many times anonymously – with little or no real way to counter the attacks and restore your good name. Have I surprised you? No, OK then, let’s head down the proverbial Rabbit Hole and look at how to successfully deploy a Social Media campaign. Step #1 – Get a website. These days, ‘linking’ your website to numerous Social Media outlets is commonplace (just look at the top right hand corner of this website). 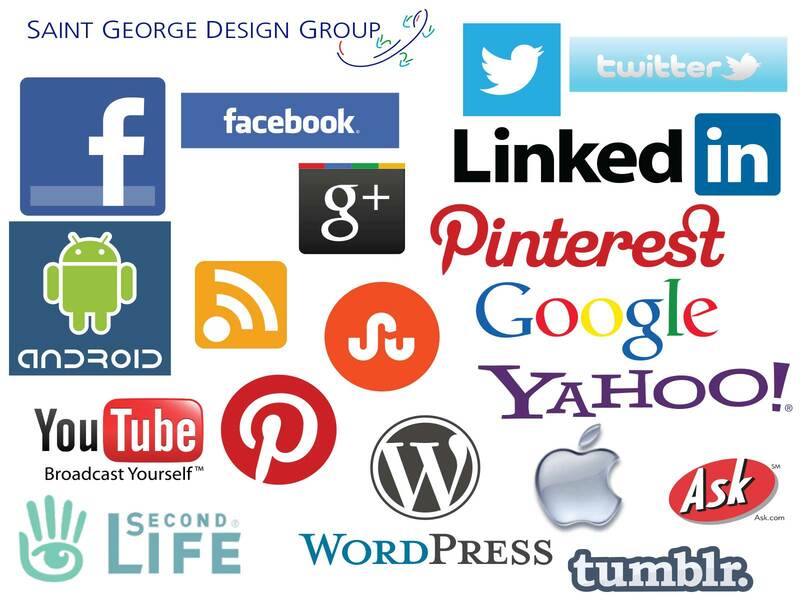 Most businesses have some form of ‘Social Media Widget’ tagged on their site. If you have a website and have yet to do this, get to work. Step #2 – Link everything. Scroll down to the bottom of this blog, notice the Sociable Widget that allows you to link to all of the major social media sites. Go ahead, ‘Like Me’ or better yet, Tweet about this blog to your network. Step #3 – Give me something of value. Time is a precious commodity and if you want me to spend time on your site, your Facebook page or review your Tweets then make them informative or have them link to informative pages on the Internet or at the very least, add a little humor and make me laugh out loud – humor is a very effective way to build a following. 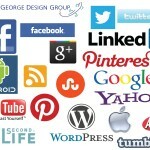 Step #4 – Choose your Social Networks wisely. For most businesses, the easiest social network to join and grow is LinkedIn (you probably already have a LinkedIn account). From LinkedIn, you can grow your network based on your previous employment (link to fellow co-workers). Also, if you’re like me and don’t have a ton of time to spare, you can ‘link’ your LinkedIn status updates to your Twitter account. Then, as I’ve done with this blog announcement, you log into your account and make one status update that reaches multiple audiences. I’ve also linked my Twitter account to my Facebook status update page: one-stop – numerous audiences. LinkedIn is the corporate worlds version of Facebook and facilitates business-to-business (B2B) promotion. For consultants and other corporate professional service providers, LinkedIn is a valuable resource that has been proven to generate new business opportunities. Step #5: Get on Facebook and setup your corporate page. This is a little tricky to do and you need to be careful to set it up without being logged in to your own personal Facebook account. Corporate Facebook pages are different and should be treated as a serious part of your online marketing effort. You can link specific articles and customer specials to your Facebook page. Also, you can offer your ‘Likes’ (aka Facebook friends) exclusive Facebook deals. Again, offer something of value and I’ll probably like you and add you to my network. Social Media Networks are one of the most powerful online marketing tools available to small businesses. We live in a connected world and everyone knows everyone else by virtue of some form of connection. I may not know you or your product directly, but someone in my network might; if I’m considering making an investment, odds are that I’ll seek out suggestions from my social network. It’s just another form of securing referrals – but much more than that. Social Media Networks expand your reach exponentially. When I ‘Like’ your business, everyone in my network knows about it. If only 10% check out your business and ‘Like’ you, everyone in their network is advised, an so on, and so on, etc. Friends of friends of friends advising and promoting businesses throughout the Internet, it’s all connected – just as we’re all connected. Of course, once we connect, you’d better offer me something of value. Next week, I’ll spend more time on Online Reputation Management and Online Brand Building. In our connected world, it has become an important topic for many businesses that have had their Brand maliciously targeted. For now, I’ll leave you with this parting request, look at the Social buttons below – please pick one and share this blog about Social Media. Today I’d like to start tackling Search Engine Optimization or SEO as it is more commonly known. For many small businesses, in order to get noticed, they have to two choices: (1) Organic – Show up in search results, or (2) Paid Per Click or PPC Adwords – Show up in Advertising. If you’re a small business in America these days, your budgets are tight and your margins are tighter. In a perfect world, you’d drive all of your Internet traffic to your site via Organic search results – that’s where SEO comes into play and these days, SEO really means On-Page SEO which is another way of saying content. So obviously, Content is King with Google; always has been – always will be. But organizing your content and how you deliver it could make the difference between showing up on the first page and showing up on page 3! Google’s latest update, Panda, placed a greater importance on ‘On-Page SEO’. No longer are backlinks and simply pinging or sending out a RSS feed the key to getting Google PageRank or Alexa Rankings; you need to implement On-Page SEO. First your keyword should appear in the title; look at today’s topic “SEO and the Search Wars”. Notice how I used my key SEO phrase ‘SEO’ as my lead? You should optimize your keyword and make sure that it has a nice keyword density of 3-5% in your article with relevant LSI (Latent Semantic Indexing). How Does Latent Semantic Indexing Work? Latent semantic indexing allows a search engine to determine what a page is about outside of specifically matching search query text. Header tags: Header tags are an important on-page SEO factor because they’re used to communicate to the search engines what your website is about. Search engines recognize the copy in your header tags as more important than the rest. This starts with your h1 and works its way down in importance to the h2, h3 and so on. These tags will help support the overall theme or purpose of your page. 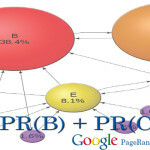 There should be one internal link to a page on your blog. Always include a URL back to your website – you never know where or to whom your Email, Tweet, LinkedIn Share, or Facebook posting will end up. If you include a link and if it crosses my desk and I’m interested in your stuff, you’ve just made it that much easier for me to engage with you online. Of course, you’ve just read the simplistic version of SEO. It helps to know how to structure your phraseology and organize your pages, menus and content in a way that the major players like them. If you have some intelligent employees that can spare a few hours a week, you should task them to this important project. At the end of the day, SEO comes down to informative, engaging content; and that just takes a commitment and time. We’ve found that for most small businesses, having made a commitment to their online presence, they just do not have the time or resources to effectively manage their website. If this sounds familiar and you can’t spare the time or the personnel to properly manage your website, you should contact Saint George and talk to us about managing your website’s SEO. Next time we’re going down the Social Network Rabbit Hole – who knows where that will lead? Maybe more SEO points? HTML5 will continue to see a lot of traction in 2013; it is a viable technology for creating a good web-based experience across numerous devices in situations where budgets are an issue or the primary objective is the consistency of experiences across devices. Savvy marketers will begin to differentiate their mobile service offerings on applications and browsers. Businesses need to treat mobile as a strategic priority – business and technology changes mean that mobile investments must rise and adoption of newer HTML5 coded websites must be adopted. Originally I thought we’d cover SEO, but I just finished an interesting paper authored by Forrester Research on 2013 Mobile Trends For Marketers. The paper includes some interesting stats we’ve touched on earlier, namely that the growth in Mobile continues unabated. For instance, over 1 million apps are now available; and more than 150 million tablets have been sold; and there are now over 1 billion smartphones registered – yes, 1 billion with a ‘B’! Immediacy and convenience combine to alter people’s behavior, consumers are changing their normal routines due to the multiple mobile options at their fingertips. Tablets will be the biggest short-term disruptors. Smartphone penetration has already surpassed 50% in the US and will do so in most developed countries through 2013. In contrast, tablets are in fewer than one in five US households. However, in spite of a smaller installed base, tablet commerce will outpace mobile Commerce on smartphones. Conversion rates are already higher, and consumers use them as PC replacements — shifting their behavior from laptops to tablets. So what does all of this data mean far a small business struggling to make a buck in America? Simple answer: Your website is outdated. Your online image is now even more important than your Yellow page style advertising. Interestingly, many Yellow page type companies have recently launched ‘digital’ editions and online divisions. Why? Because they saw this coming and they realized that in order to service their existing customer base they had to adapt and start marketing online. So let’s get back to HTML5 websites and what they do that normal websites don’t do. They just work – on every platform: your desktop screen, your tablet or your smartphone. They also work on just about every browser, without fancy plugins, or ‘compatibility’ switches or anything like that. I did I mention that an HTML5 website hosted with a good, name-brand hosting company is lighting fast? Yup, it is. Obviously we’re big fans of this new technology and so are the major search engines. Which sort of brings us back to SEO. The way we look at it, if you want to generate higher SEO, you may as well start with the latest HTML5 code and work from there. OK, next time we’ll focus on SEO, promise. Until then, consider your current website and how your online image factors into your companies overall marketing efforts. There’s been a lot of discussion lately about the online world and businesses, namely: Can a business thrive in an online, connected world without maintaining a state of the art website? The simple answer is NO – The more detailed answer is: No, not without a professionally administered website. And this poses quite the dilemma for many small businesses today. For many of my clients (mostly small, with 6-25 employees) the challenge becomes how to run their business effectively and still get their message “out there” and get noticed in an ever-crowded online world. Let’s back up a bit and explore the online world. When the Internet really started blooming many businesses realized that they had to have some sort of Internet presence, so most businesses I know rushed out and purchased URL’s with their business name. Some set-up simple ‘template-style’ websites, while others paid hundreds or probably thousands of dollars to get ‘professionally programmed’ websites set-up for them. The next ‘Big’ thing came along with Content Managed Sites (CMS). These websites originally cost thousands of dollars but empowered early adopters to ‘manage’ their content and add new items, pages, and pictures as their businesses grew. CMS truly changed the online world and returned control of a companies marketing program back to the marketing departments of many companies. Of course, small businesses were left out in the cold as the software for these websites was mostly proprietary and costly and even if they could afford the investment, many small businesses could not spare the personnel to maintain their new website. Their solution, an occasional update was delegated to whichever administrative assistant had the lightest load. Fast-forward to the late-90’s when Word Press emerged onto the scene. Word Press is an elegant online blogging platform that provides free space and a simple, semi-customizable template that anyone with just about anything to say can deploy and share with the world. And blog they did on just about any topic: politics, single parenting, travel adventures, etc. Some very astute and clever programmers realized that Word Press was also an excellent CMS website platform and started to design templates that could be user-modified to produce a semi-custom website look. Natural progression produced professional templates for advanced users and today we have one of the most powerful content managed website platforms available to the general public. Along the way, Google took notice of the popularity of Word Press, and Google being Google, tweaked their Search Engine Optimization Algorithm (SEO) to include much of the blog-o-sphere world. Google loves content and Word Press provided Google search results with lots and lots of content. Currently, the next ‘Big’ thing is Mobile. Mobile no longer means phones – although Smart Phones do account for a large number of visits to websites. Mobile also includes Tablets and last year, more tablets were sold in America than laptops! For many of my clients, well over 20% of visitors to their websites originate from a ‘Mobile’ device. I don’t know of any business that can ignore over 20% of their visitors. To solve this problem, HTML5 was established. Finally, there is a universal language that allows all visitors to see the content on a website as it was designed to be seen, without ay ‘plug-ins’ or more importantly, without any restriction to screen size, resolution or operating system. HTML5 is what is better known as a cross-platform code – it just works, regardless of what device you are using to visit a website. Here’s a good example, you visit a website on your home computer, looks great but suppose you want to show something to your colleague while you’re at a meeting – no worries, you pull out your Smartphone and dial in the URL – only problem is that unless the business setup a ‘Mobile’ site, you are zooming in and scrolling side to side and zooming out – far too much effort to share information effectively. On the other hand, had you visited a website from your mobile device that was coded in HTML5, everything would just work; yes pictures would be scaled, but they would be scaled to fit your device perfectly. Navigation on a Smartphone becomes a lot easier with widely adopted drop-down menu system that fills your screen when navigating and intuitively, renders itself back to a small strip, out of the way awaiting your next command prompt. Some newer HTML5 coded websites also take full advantage of the touch experience – very useful when navigating with a Tablet or Smartphone. We’ve arrived at the beginning – Can a business thrive in an online, connected world without maintaining a state of the art website? These days, state of the art also means HTML5 code running your site. For many small businesses, that means they need to find a way to take care of their business and find someone competent to take care of their website. Outsourcing your website is the next ‘Big Thing’ for many small businesses. It’s just too hard, and makes no financial sense, for most small businesses to try and set-up, let alone manage their online presence. It takes up too much time, and try as they will, they’ll never be as good as someone that has been trained to optimize the content and fine-tune a website. What usually happens is they start out with the best of intentions and then forget about an update, or upload pictures not optimized for web performance or, in some extreme cases, crash the site and forget about the whole project and abandon their online marketing altogether. Small businesses should consider outsourcing their website to a competent website manager. There are lots of options available these days from SEO experts to content ghostwriters that will write a weekly or monthly blog for your business. The costs vary with the service: The more they are involved, the more it will cost. The cost-benefit to a business is straightforward: Do more online visitors equal increased sales? If the answer is yes, then you need and enhanced web presence and a more ‘hands-on’ approach. If you simply need a basic web-presence, then a online maintenance service is called for. Every business is unique and there is no one solution. Take your time and talk directly with whomever you are considering to work on your website. Remember, treat this person as you would treat a marketing executive; once you get going, you’ll notice that marketing online is marketing – plain and simple – your web professional needs to be a marketer first, and a web guru second. Next week we’ll start tackling SEO and expand on the online marketing theme.